Wood Saints is a new wood recycling enterprise launched by ASAN. We can collect waste wood from any site in the Black Country. 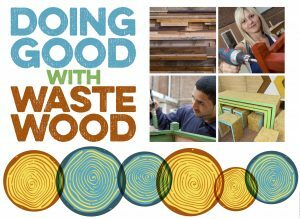 We’re cheaper than a skip*, which means you’ll save money, save wood from landfill, and create jobs and volunteering opportunities for local people in our business. Waste Transfer Note with each collection. Call 01902 556683 or 07950 347718 for waste wood removal or email info@woodsaints.com. * Typical 8 yard skip hire £165+vat. We’ll collect 8 cubic yards for £132+vat. Depending on the quality of your wood, we may be collect for free. Call us to discuss. All Saints Action Network Limited is a company limited by a guarantee number 3591314. Hosting kindly provided on a 34sp.com WordPress hosting plan.